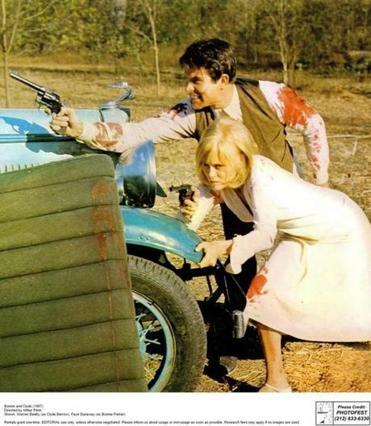 “Bonnie and Clyde” (starring Warren Beatty and Faye Dunaway) screens at the Coolidge on May 15. New England offers a rich slate of film selections, this and every summer. Here’s a sampler to get you started. Coolidge Corner Theatre: The Sounds of Silents series presents Harold Lloyd’s “The Freshman” (May 1), with an original score and live musical accompaniment by the Berklee Silent Film Orchestra. “Bonnie and Clyde” (May 15) kicks off this season’s Big Screen Classics. The Cinema Jukebox presents “Hail! Hail! Rock ’n’ Roll” (July 27), about the life and music of Chuck Berry. The Coolidge at the Greenway, a free outdoor screening series at sunset at the Greenway’s Wharf District Park, presents “Twister” (June 27), “Back to the Future” (July 18), and “King Kong” (Aug. 8). www.coolidge.org. Brattle Theatre: Highlights include a new digital restoration of John Huston’s “Beat the Devil,” with previously unseen footage (June 2-4). The Year of Women in Cinema continues with “Seven Beauties: The Films of Lina Wertmuller” (June 9-15) showcasing new digital restorations of seven of her films. “The Good, the Bad, and the Classic: Celebrating the Spaghetti Western” (June 23-29) includes Sergio Leone’s “Man With No Name” trilogy, plus the lesser known classics “Death Rides a Horse,” “The Big Gundown,” and “Day of Anger.” www.brattlefilm.org. Harvard Film Archive: Two major retrospectives of seminal directors dominate the HFA summer schedule: Jean Renoir (June 9 — Aug. 28) and Ernst Lubitsch (June 16 — Sept. 1). There’s also a psychedelic surf series each weekend in July which will include “Morning of the Earth” (1972), “Crystal Voyager” (1973), and “The Innermost Limits of Pure Fun” (1968). http://hcl.harvard.edu/hfa/. Museum of Fine Arts: Highlights include Arab Film Weekend (June 8-11), co-presented with the Boston Palestine Film Festival, and the Boston French Film Festival (July 13-30). www.mfa.org. Ciclismo Classico Bike Travel Film Festival: This 8th annual event screens an assortment of international films on bicycle travel and adventure (June 2-4) at the Regent Theatre in Arlington. www.regenttheatre.com. Berkshire International Film Festival: The 12th annual fest (June 1-4) offers films and panel discussions at the Triplex Cinema in Great Barrington and at the Beacon Cinema in Pittsfield. www.biffma.org. Roxbury International Film Festival: The 19th annual program (June 22-29) includes more than 55 films screening at the MFA, including opening night selections “Body and Soul: An American Bridge,” director Robert Philipson’s look at the early performance history of the jazz standard “Body and Soul,” and “Tear Down the Roof: The Untold Story of Parliament Funkadelic” from director Bobby J. Brown. Also notable is writer-director Greg Carter’s “My B.F.F.,” a coming-of-age comedy about race, identity, politics, and friendship. www.roxburyinternationalfilmfestival.com. Provincetown International Film Festival: This year’s event (June 14-18) honors Sofia Coppola as Filmmaker on the Edge and Chloe Sevigny with the Excellence in Acting Award. The opening night selection is “Mr. Roosevelt,” the comic feature debut from writer, director, and star Noël Wells, who will be in attendance. www.ptownfilmfest.org. Nantucket Film Festival: Oscar-winning writer-director Tom McCarthy (“Spotlight”) will be honored with the Screenwriters Tribute Award and documentary filmmaker Nick Broomfield with the Special Achievement in Documentary Storytelling Award at the 22nd NFF (June 21-26). Broomfield and Rudi Dolezal’s new film “Whitney: Can I Be Me,” about the late singer Whitney Houston, will screen as the festival’s centerpiece film. www.nantucketfilmfestival.org. Maine International Film Festival: The Waterville-based event (July 14-23) celebrates 20 years with a program of more than 100 American independent, international, and made-in-Maine movies. www.miff.org. Somerville Theatre: Highlights include the “Summer of Love” series curated by Julia Marchese, director of “Out of Print.” The series includes Roman Polanski’s “The Fearless Vampire Killers” (June 7), “Valley of the Dolls” (June 14), “Riot on Sunset Strip” (June 21), and Jean-Luc Godard’s “Weekend” (June 28). http://somervilletheatre.com. Woods Hole Film Festival: The oldest film festival on Cape Cod and the Islands celebrates its 26th season (July 29-Aug. 5). Josh Seftel (“The Secret Life of Muslims”) is this year’s Filmmaker-in-Residence. www.woodsholefilmfestival.org. FLICKERS: Rhode Island International Film Festival: Celebrating its 21st year, this event (Aug. 8-13) is one of only six festivals worldwide whose winners in the short film categories qualify for the Oscars. Numerous international features and documentaries are also on the bill. www.rifilmfest.org. Massachusetts Independent Film Festival: This event at the Brattle (Aug. 25-27) offers dozens of films and is dedicated to promoting and assisting indie filmmakers. www.massiff.org. Martha’s Vineyard International Film Festival: This end-of-summer festival marks its 12th year (Sept. 5-10) offering many international films and special guests. http://mvfilmsociety.com.